During this festival of the sea, a parade of the denizens of the deep like Neptune with his retinue, pirates and privateers, sailors and fishermen, mermaids, octopuses and water flowers, minstrels and acrobats walk through the streets of Szczecin. It is colourful, loud and fun. In June the streets of Szczecin look like Rio de Janeiro during Carnival time. There are tempting stalls with handicrafts, paintings and jewellery in the Aleja Artystow. 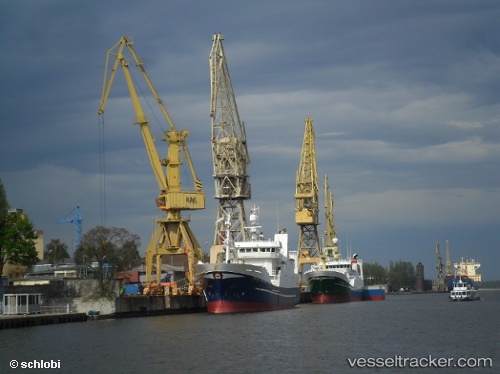 The most beautiful yachts and sailing boats from around the world can be seen in the port of Szczecin. An artistic vision of the white fleet is presented an exhibition of photographs. "Old-Timers on Wheels" gather along the Chrobry Walls in Szczecin. Classic Mercedes, Fords and Fiats glide in a dignified parade. The Classic Car Rally should not to be missed in Szczecin and it attracts huge crowds of car lovers. Visitors can get close to these magnificent machines and reminisce about what they were like to drive and share their experiences with younger enthusiasts. These Kings of the Road also go through Szczecin in a noisy parade. "Old-Timers", all built before 1950, also drop anchor in the port, some with traditional sails and some are motorised. The ships, standing as proud as swans, with their fluttering sails and creaking timbers that tell of their adventures on the high seas. A submarine emerges from the depths of the harbour which allows visitors to go inside to observe fish through its portholes. At night the illuminated Chrobry Walls look stunning and fireworks light up the sky above Plac Bialego Orla in a stunning light show involving fire. A tradition of the Days of the Sea Festival in Szczecin is the "launching" new books about the sea. This year, the honour went to the book with the title "The Salty King", about fishing and traditions relating to the herring. An "Old Sea Dog" sets competitions with prizes for children and there is also the Waldemar Malicki's Academy of Wit. When Szczecin celebrates the Days of the Sea Festival, musicians can be heard everywhere and there is no end of balls and dances. Above all, the Festival of the People of the Sea is about music. As part of the event, visitors can listen to a concert by the choir at the Maritime Academy in Szczecin or in honour of those that did not return from the sea, Mozart's Requiem resounds at the Central Cemetery in Szczecin every year. For the finale of Szczecin's Sea Festival a big, open-air concert annually attracts huge crowds. Szczecin does not asleep. Szczecin enjoys itself to the rhythms of the sea. Shanties and folk songs are performed at a concert entitled "Sail Szczecin – We are sailing to Szczecin". On the 30th June 2013 (Sunday) engineers commenced excavating from the bottom of the Odra river the bomb - explosive remnants of the Second World War. The City announced the evacuation of more than a thousand people from buildings located within a radius of half a kilometre in Szczecin Old Town and closure of the traffic in the large part of downtown adjacent to the river. It is the biggest operation of its kind in Szczecin during the past 25 years.